Whether you're looking to add a horse barn, workshop, garage, or artist studio to your property, a custom pole building designed by a high-quality pole barn building company can meet all your requirements with stylish design and quality materials. 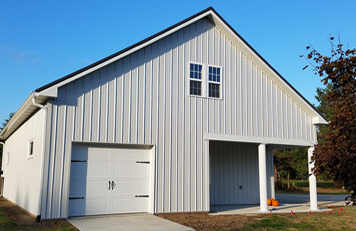 Serving all of Washtenaw, Livingston, and Jackson counties from our Dexter, Michigan headquarters, Burly Oak Builders specializes in completely customized pole barns designed to meet our clients' unique needs and budget. 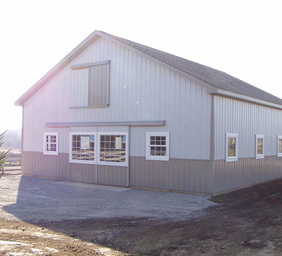 While many pole barn builders rely on pre-fab construction, we believe that only a wholly custom approach can achieve true customer satisfaction. From design to execution, Burly Oak Builders places an emphasis on excellence in both customer service and workmanship. Every quality post-frame structure must begin with an accurate design concept, and our design team has years of experience creating concept drawings. We then handle every aspect of construction - from pulling permits and laying a foundation to turning our customer's expectations into reality. 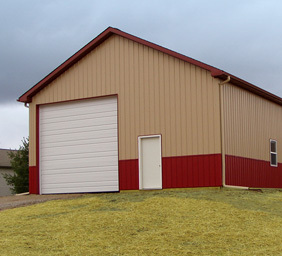 Our skilled and detail-oriented craftsmen use only the highest quality materials to create a long-lasting, top-grade pole barn to meet your exact needs. Your horses deserve a sturdy and functional living area, and Burly Oak Builders believes that a well-built horse barn can also be an attractive addition to your property. When designing a horse barn for a customer, our team takes into consideration everything from the proper layout to the required lighting to help guide the customer from the initial planning stages through to the final steps in construction. Shielding your RV from the elements of nature is crucial for protecting your investment from the detrimental effects of rain, snow, and hail. The design and construction team at Burly Oak Builders works directly with every customer to create an RV storage building that fulfills all of the customer's needs. 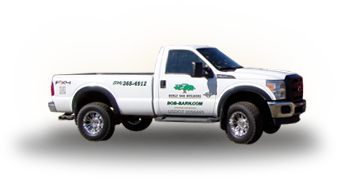 Whether you're looking to store just your RV or you would like to build in additional space to park another vehicle, Burly Oak Builders can design the perfect pole building for you. Many of our customers who commission a loft barn from us are looking for additional square footage for storage, studio space, or a workshop. 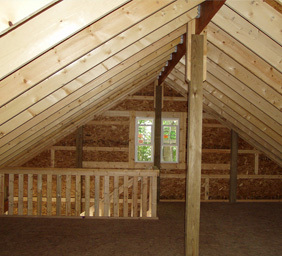 At Burly Oak Builders, we specialize in the classic Gambrel barn style, which aims to be an attractive addition to your property while providing the most headroom and allowing for all the additional storage and productivity that lofts can provide. As any car collector can attest, storing your classic cars under the right conditions is crucial for maintaining their value. 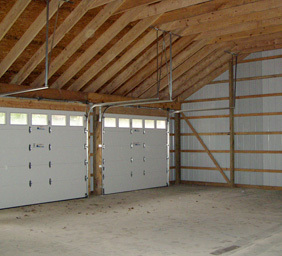 At Burly Oak Builders, we can work with you to create a collector car barn for any size collection that aims to keep damaging moisture and other weather elements away from your valuable vehicles. Finding space in your home to set up your art studio or hold workshops can be difficult. 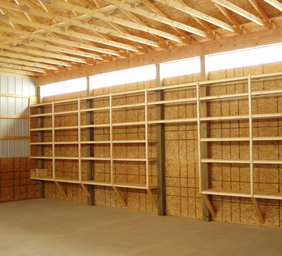 Burly Oak Builders can help you make space for hobbies on your property by designing a workshop barn to fit your precise needs and specifications as well as your budget. Whether you're looking for a functional space to park your everyday vehicle or you want to create a long-term spot for your classic car, Burly Oak Builders can customize the perfect garage space for your needs by collaborating with you on every element of the design. Our craftsmen can also build beautiful additions, finish your basement, and remodel your home! Let's get your project started! Contact us today to schedule your free consultation and estimate. The contents of this webpage are Copyright © 2019 Burly Oak Builders, Inc. All Rights Reserved.